Lost Kitties characters love adventures and always seem to end up hiding in a carton. 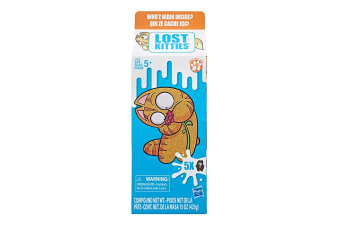 The Lost Kitties Blind Box Multipack includes 5 Lost Kitties figures, 10 randomly packaged accessories and 5 meme stickers, all hiding inside a soft, shaping compound. 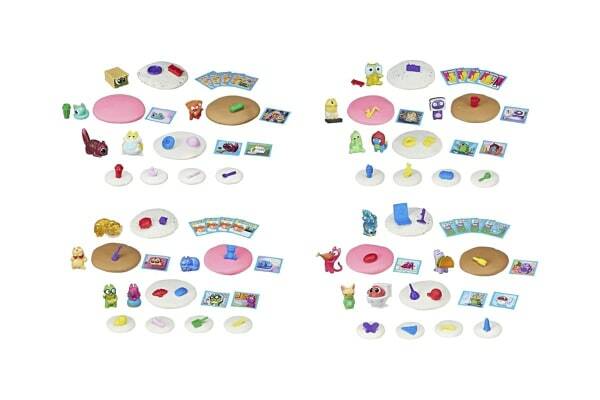 The Lost Kitties Blind Box Multipack includes a shaping compound that can be used to create all kinds of cool things for the kitties. 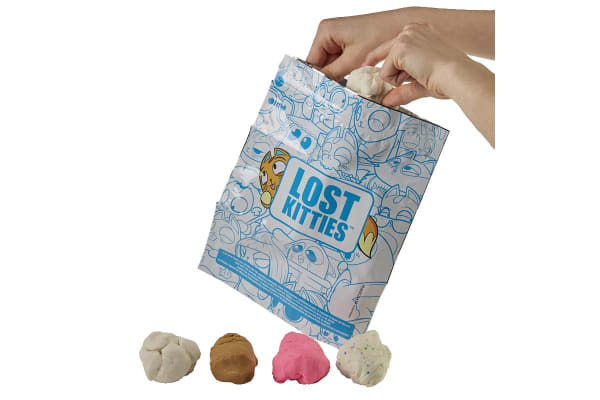 Four of the Lost Kitties figures are exclusive from Series 1 and one kitty is a sneak peek from Series 2! Every Lost Kitties figure belongs to a squad that has its own unique personality.